Plus, everyone knows it's a stupid thought experiment anyway. 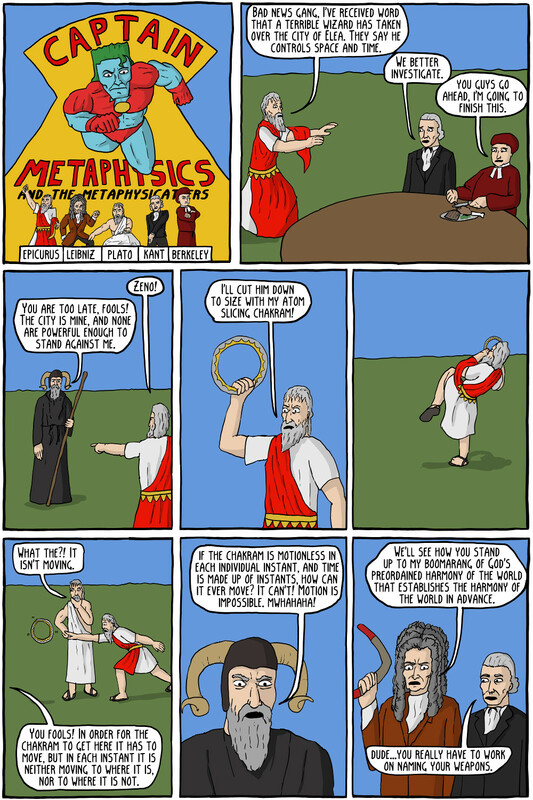 Zeno of Elea was an ancient philosopher who came with dozens of paradox, which proved such things as "motion is impossible" and "motion is impossible". 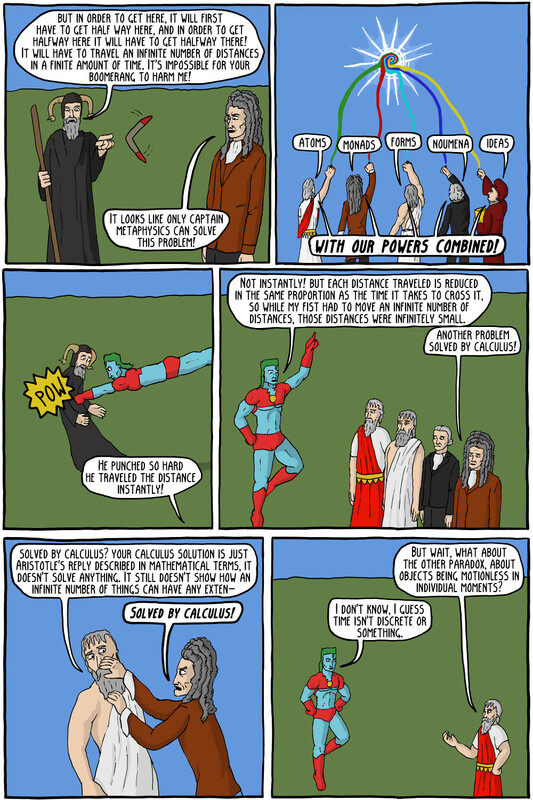 A lot of people think calculus solves some or all of the paradoxes, but it doesn't. It just gives us the tools to better describe the paradoxes in math, or describes Aristotle reply in mathematical terms.